Grilled Cheese as a “Meat”? 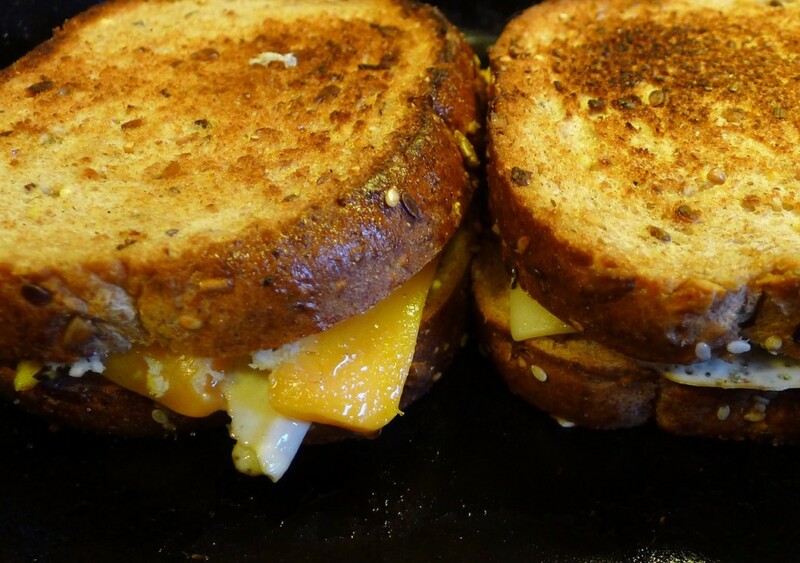 Today is National Grilled Cheese Sandwich day. I don’t know about you, but I really love this particular slice of American comfort food. So much so, that I could, in a strange sort of way, make a grilled cheese sandwich the “meat” in a meat-and-three meal. Purists would probably take issue with this, but it kind of makes sense to me. I know — this would make a pretty big meal. However, it sounds sooo good that I will ponder this one for a bit today. SIDE 1 – my first side choice would be Collard Greens. I love ’em so much by themselves, but I could dip the grilled cheese into the pot likker/pot liquor (depends on where you’re from) and be super pumped. SIDE 2 – some hearty Baked Beans would be my next choice for one of the sides. It’s still early yet, but right now, dipping my G.C. Sammy in the baked beans sounds quite yummy. I’ve never done that, but it’s worth a try, right? SIDE 3 – I wavered between a salad and Roasted Sweet Potatoes for a bit, but eventually the wonderful flavor and the crunchiness of the sweet potatoes won out. A mild seasoning mix with a hint of balsamic vinegar will hit the spot.